Ladies, please meet Katherine Wilson, a multifaceted professional artist who moved from her native United States to Italy, where she decided to stay after she met the man of her life. In this interview Katherine explains what she embraced professionally when she decided to stay on. What is interesting is that she was able to transform what some might see as a burden into a big plus for her current career. 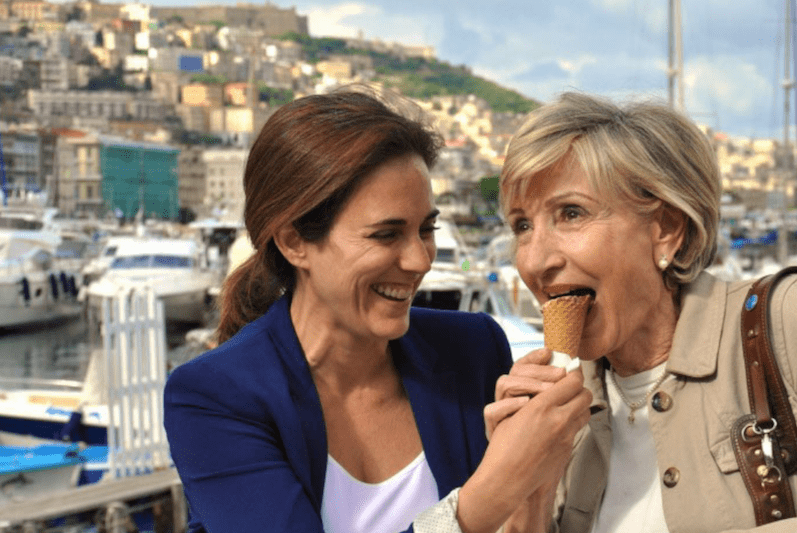 Katherine, you moved to Naples for an internship at the American Consulate, and you fell in love, both with the city and with a Neapolitan man. When you decided to settle down in Italy, how did you get organized from a professional point of view? I started to teach English in language schools and to give private lessons. Italians have very positive stereotypes when it comes to people from the U.S., so I was lucky. I realize that if I had come from a different country it might not have been as easy to find work. You are an artist, so how did you combine your artistic identity with the new professional path that was opening up for you in Italy? It is exactly because I work in the arts that I realized early on that I couldn’t think of my “career” in a linear sense the way I had in the States: both because Italy is a place of the unexpected, and because of the peculiarity of my field. I have always loved theater and music, and since I have an English accent in Italian I decided to audition for musicals. I was at an advantage being from the States: my background set me apart from the other singers. Now I do English language dubbing as well as writing (touring with theater isn’t easy with a family!). I love doing cartoon voices, which is where I have the most fun. I also audition for film and TV in English. Although there aren’t nearly as many roles as there would be in London or New York, there also isn’t nearly as much competition. My “foreignness” has benefited me here, I just have had to piece together many different kinds of work. 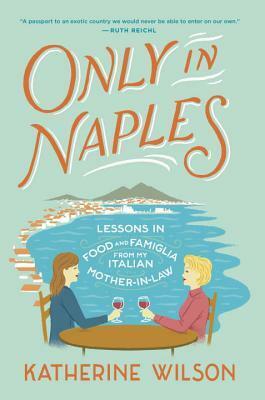 You have written a book, Only in Naples – Lessons in Food and Famiglia from my Italian Mother-in-law, that has been widely translated. Why did you decide to write it, and what have been the reactions to it? Only in Naples is basically a tribute to the city and the family that have welcomed me so warmly. In writing it, I wanted both to share with friends and family the fabulous adventure of getting to know such a rich and diverse culture, and also to give a different perspective on a city that is often misdescribed and certainly not understood. The Italian title is “La moglie americana”, The American Wife, and this reflects the fact that I also used the book to talk about my personal experience in an Italian family. Like Naples itself, Italian families are associated with stereotypes and are rarely presented in their entire vitality and complexity. The book has been very well received, and I hope it has contributed to pique people’s curiosity about Naples! Do you plan on writing more? I do. I’m currently writing a novel, about the meeting of cultures when two American sisters take a trip to Eastern Europe. I love exploring different languages and cultural assumptions, not to mention taking readers on an exciting trip. The idea of having them stop in Italy for a while is tempting me at the moment…. we’ll see!